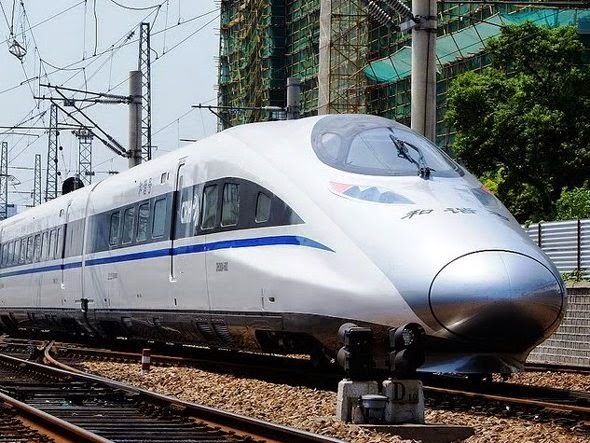 Here in the UK, the government is pushing hard to spend vast amounts of money on a new high speed rail link (known as HS2) to reduce the time in which people can travel from London to Birmingham, and then eventually to Leeds and Manchester. Successive obstacles are learning to increased costs and more delays, not least of which are public concerns about the plans. I also have a problem with HS2. Not with building more infrastructure for transport, but simply because it's depressing to read about the boring train types that are being planned, and envision the outcome. I grew up with a 1354mph aircraft that flew nearly 800mph faster than the latest Boeing Dreamliner, and a space ship that could fly into space with seven people, do cool stuff and then fly back home to do it all over again. (Try explaining to kids that humans used to be able to fly twice as fast as a bullet in large groups, but not any more). 200 years ago we started the rail network with steam, 100 years ago there was electric, and then diesel. 50 years ago In Japan the 200mph Shinkansen started to run followed by the TGV in France. 30 years ago Magnetic Levitation trains emerged, carrying passengers at over 270mph by monorail in Germany and more conventionally in Shanghai. Current fastest? In China there's a train that travels at 302mph, which is pretty cool. In Britain? We're going to reach.....wait for it......225mph - but only in certain small sections. Which is just great - it's really nice to be copying what other countries have - and it's safe to be behind the curve. That's the secret of success isn't it? Incremental upgrades. Playing safe. Avoiding risk. Please everyone all the time. 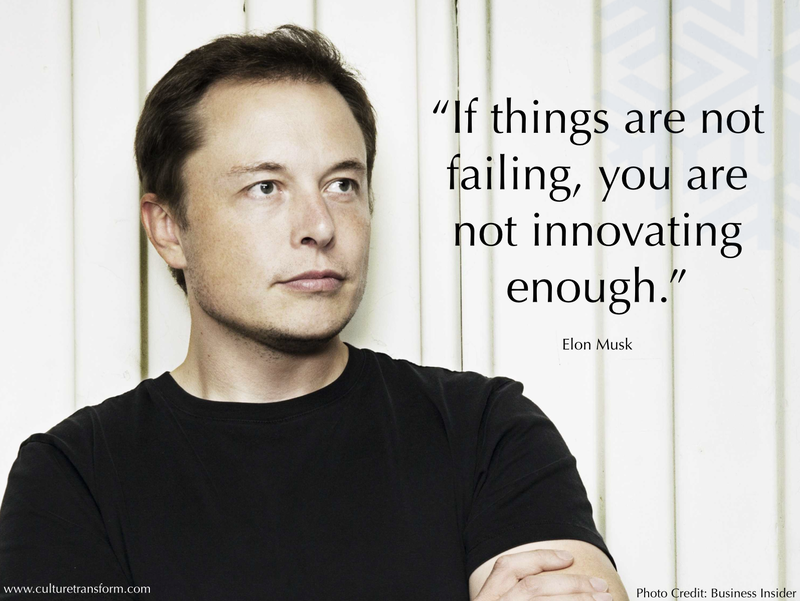 Any business that desires success needs to shatter expectations with something amazing. Something new and incredible that captures the imagination. Too many companies complain about a lack of innovation without encouraging it, daring to take risks or listening to 'left field' ideas of their employees. When was the last time your company captured YOUR imagination? What was the last thing you did to build passion in your teams? How can you expect engaged employees if you don't fire imagination with what you do? So what should HS2 be like? 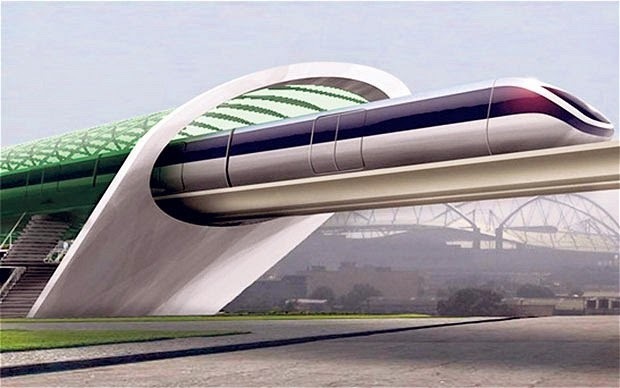 How about a nuclear powered zero emission magnetic monorail with passenger pods travelling at 760mph? I want to get from London to Birmingham in 8 minutes, not 40. I want the UK to have some ambition! Invent that. Make something that changes the world, create a technology that can be exported to every part of the planet. The population will rally behind that. Or how about building on the Victorian idea of a pneumatic dispatch tube like +Elon Musk with the Hyperloop concept? Please. Anything but the same old boring stuff. We put a man on the moon in 8 years. But it's taken five years of 'debate' on HS2 and nothing has yet been done. Tragic. Don't settle for 'dull' at work. Inspire engagement in your workforce by aiming high, leveraging passion, capturing expertise, and doing something amazing. Focus on plans that speak to the heart and the head. Use your imagination and those of everyone around you to do things that wow. Nobody woke up this morning and said, "I know, let's do something mediocre today".